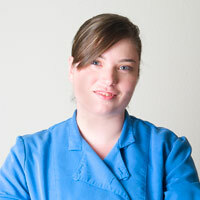 Austin Veggie Chef LLC was founded by Leslie Haak in early 2011. After years of working as a self employed personal chef and operating the website www.austinveggiechef.com, Leslie's business blossomed into a dynamic and full-service enterprise, where a star team of talented and highly-specialized chefs could be called upon to meet the specific needs of any discerning client. Leslie Haak has been providing natural foods personal chef services since 2005 to families in the Austin area. She attended the Natural Epicurean Academy of Culinary Arts and has returned as an assistant and guest teacher. She also worked as a head chef and manager at Casa de Luz restaurant for 3 years. Natural Foods has been a long time passion and interest for Leslie. She is excited to see a growing awareness and interest around natural foods and healthy living and loves sharing her knowledge and experience.